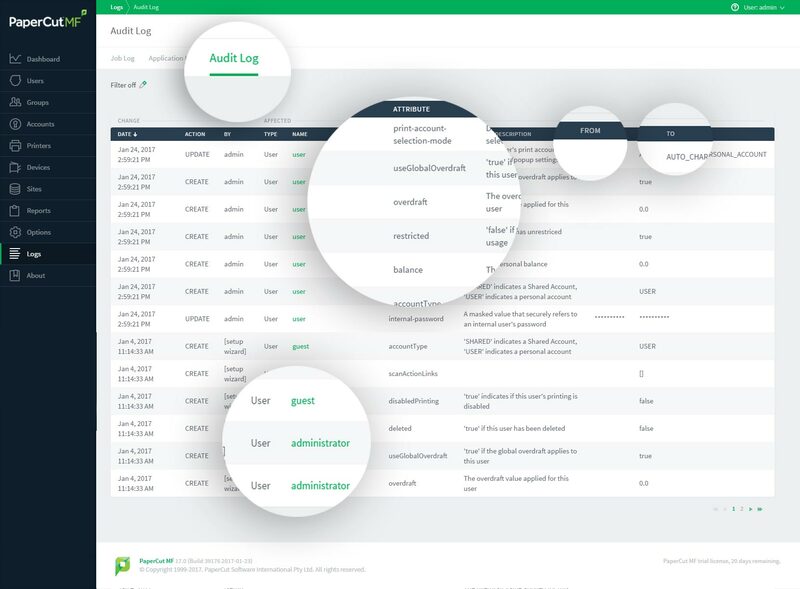 The ability to audit changes made to users within PaperCut is an important security feature when administration of the application is centralized and shared. By default, 30 days of audit data is managed in the solution, however this can be configured to larger or shorter timeframes where needed. Show logs of changes made to users. ..providing total accountability for changes made to any user. Any changes which are made to a user are also attributed to the logged in administrator. This allows the behavior of an administrator to be audited to determine all changes made by that given user. This can be particularly useful if an administrator has made a mistake once to ensure there haven't been previously unnoticed instances of the same error.